Nevill Drury was born in Hastings, England and arrived in Sydney on S.S. Orcades in January 1957. After moving with his family to Adelaide for three years in 1960 the family returned to England for eighteen months and lived in the quaint Sussex village of Alfriston– his father, an art teacher and commercial illustrator, was very much an itinerant and was torn between the two countries for his entire life. The family returned to Sydney in 1964 and Nevill made Australia his home from this time onwards. He became an Australian citizen in 1997. Nevill was best known for two quite different areas of interest. One of these was his role as a leading Australian art-book publisher and the other was writing books on the magical and shamanic traditions for the international market. He made a brief foray into the world of television documentaries, presenting the ABC-TV series on alternative medicine, Healers, Quacks or Mystics?, in 1983, and researching and co-producing The Occult Experience with director Frank Heimans in 1984-85. He also edited the holistic journal Nature & Health (a sister publication to Geo) between 1983 and 1989. After working in the Australian book industry as an editor for Harper & Row and Doubleday between 1976 and 1982, Nevill co-founded Craftsman’s Press with Judy Hungerford and Geoffrey King. Craftsman’s Press specialized in limited edition monographs, including publications on such artists as Justin O’Brien, Brian Dunlop and Lloyd Rees. But in 1985 a decision was made to change the direction of the company, moving its orientation more broadly into the visual arts – including printing, ceramics, sculpture, graphic design, jewellery and architecture – and making the books substantially more accessible, both in price and style. Nevill proposed changing the name of the company to Craftsman House but the essential focus remained the same: the aim was to produce high quality books on the Australian visual arts and publish monographs on the emerging generation of mid-career artists who had not yet earned widespread recognition across the country – something no other publishing house was doing at the time. In due course Craftsman House would publish the first books on important Australian artists like Robert Juniper, Colin Lanceley, Roy de Maistre, Imants Tillers, Alun Leach-Jones, Kevin Connor, Margaret Olley, William Robinson, Tim Storrier, John Wolseley, Wendy Stavrianos, Clifford Possum Tjapaltjarri, Michael Jagamara Nelson, Gordon Bennett and Inge King, among many others. It also published major titles on Lloyd Rees, Grace Cossington Smith, John Olsen, John Coburn, Emily Kngwarreye, Leonard French, Garry Shead and James Gleeson. Craftsman House was widely regarded as Australia’s leading art-book imprint during the 1990s and its publications won numerous design awards. In 1989 Craftsman House became a division of the international Gordon and Breach publishing group and when this company acquired the prestigious art journal Art and Australia in 1991, the position and influence of Craftsman House in the Australian art-world was further consolidated. Having an international parent company to finance its growth, Craftsman House now went on to produce titles on American and European contemporary art as well as maintaining its Australian list. Its publications included overviews of contemporary Scottish painting and sculpture and the first title on contemporary Czechoslovakian painting published after the downfall of the Communist regime in 1989. Craftsman House also published works on Polish, German, Russian and New Zealand art. Nevill left the company in early 2000 and began concentrating more on his own writing. As a writer, Nevill’s driving interest was always associated with the relationship between art, visionary experience and the esoteric traditions. In 1971, during an eight-month visit to England, he worked in a London bookshop and acquired a reader’s ticket to the British Museum. Here he read the visionary texts of the neglected English artist Austin Osman Spare, who was both a trance artist and occultist. Nevill’s first book, The Search for Abraxas, co-authored with a university friend, Stephen Skinner, and published in 1972, delved further into this area. It was described by British author Colin Wilson, who contributed an introduction, as ‘the manifesto of a new generation’. Over a period of some forty years Nevill wrote and co-authored numerous books on shamanism, modern Western magic, contemporary art, ambient music, holistic health, paranormal consciousness research and esoteric thought. They included The Dictionary of Mysticism and the Esoteric (first published in the United States in 1988 and in-print in various editions ever since), an introductory text – The Elements of Shamanism – published in ten languages – and Stealing Fire from Heaven: the Rise of Modern Western Magic released by Oxford University Press in 2011. 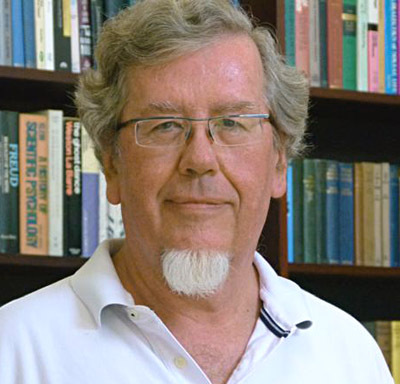 His 2013 publication, The Varieties of Magical Experience – inspired by William James’ The Varieties of Religious Experience and co-authored with Queensland-based anthropologist Professor Lynne Hume – was published in the United States by Praeger and described as ‘a classic’ by academic specialists working in the same field. Nevill’s art-book titles included the three-volume series Images in Contemporary Australian Painting, a co-authored title on Australian art and spirituality, Fire and Shadow, and the multi-authored volume Australian Painting Now, co-edited with Laura Murray Cree and published by Craftsman House in Australia and Thames & Hudson in the UK in 2000. Over a forty-year period Nevill wrote, co-authored or edited seventy book titles – and his work was published in 26 countries. He earned a Ph.D from the University of Newcastle in 2008 for an award-winning dissertation on the controversial ‘Witch of Kings Cross’, Rosaleen Norton and his biography of this colourful, bohemian artist, Pan’s Daughter(first published in 1988) was subsequently released in the UK in a revised and expanded edition in 2012. A companion volume – Homage to Pan, based on his Ph.D – was published by Creation Books in the UK in 2009 and by Edition Roter Drache in Germany in 2013. Nevill was married three times – to Susan Pinchin (with whom he had three children, Rebecca, Megan and Ben), to Anna Voigt, and to Lesley Andrews- Buffard. From 2008 onwards he lived in and around Milton, on the New South Wales south coast – a small rural town in which he felt totally at home. His interests in retirement included drawing in pastels, gardening, lecturing for the U3A organization, learning how to play slide guitar on a dobro, and singing in a local gospel choir. He is survived by his wife Lesley, his three children, Rebecca, Megan and Ben, and his grandchildren Jethro, Isabella, Madeleine, Archie and Zara.